The BLAT 2019 application form will be available on the official website from 10th February 2019. 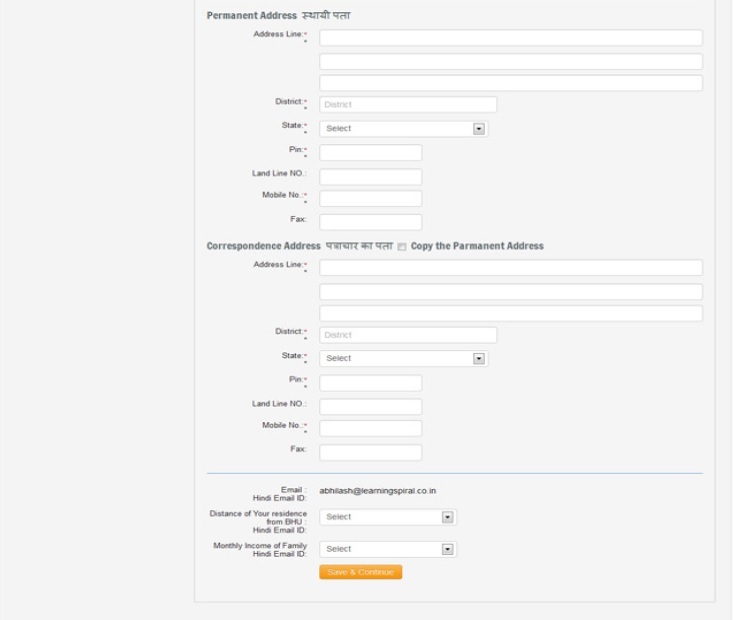 The candidate needs to signup with his/her valid Email-id, Name, Mobile number, and Address etc. A confirmation message will appear on the screen after successful BLAT 2019 registration. An activation link will be sent to the Candidate's registered email ID and confirmation code to the entered mobile number. To conclude the BLAT 2019 registration process, applicants are required to click on the link and enter the confirmation code. The application form will appear on the screen. 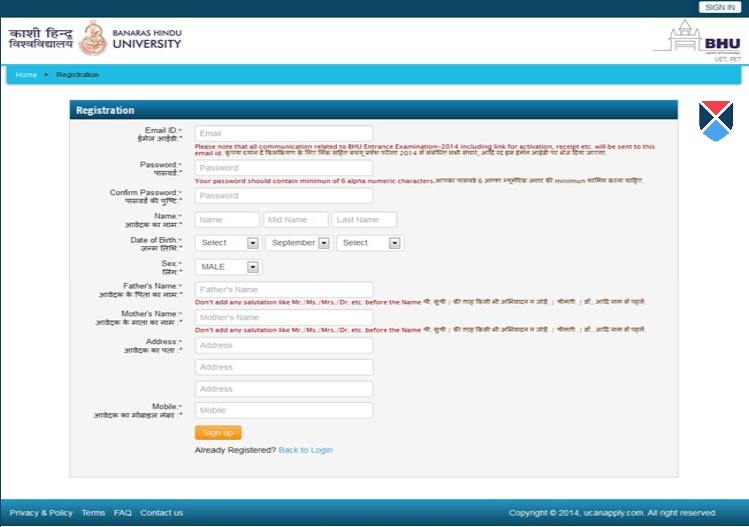 Here, candidates are required to select the name of the course they are applying and can continue the process. The candidates are required to check the eligibility norms which will be on the official website and make sure that they fulfill all of them. The candidate needs to fill all his personal details. Based on the course you chose the candidate needs to fill his academic details like candidate's name, Father's Name, Mother's Name, date of Birth and etc. In the address bar, the candidate must fill the complete address. 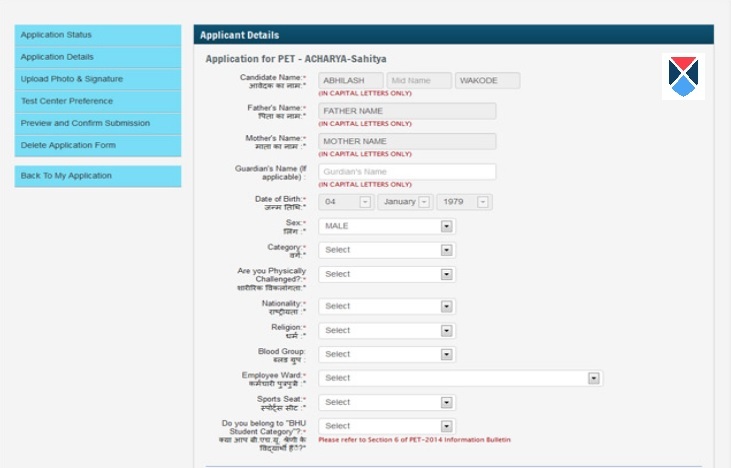 The candidates are required to select five test centers according to their preference. On the basis of candidate’s preference, a BLAT 2019 exam center will be allotted. 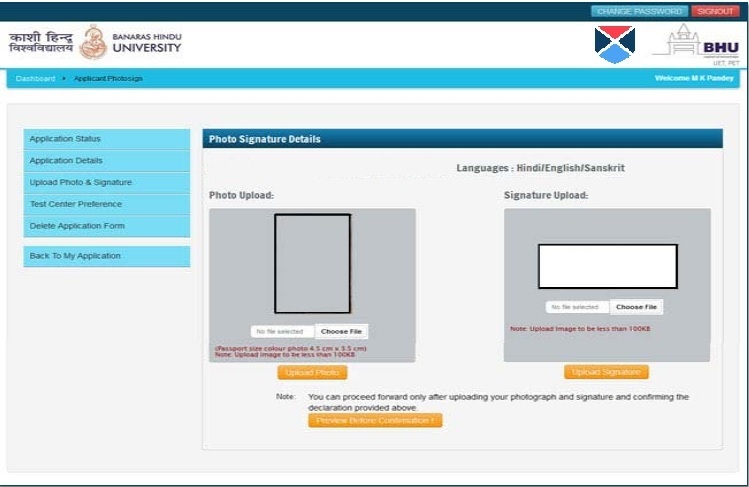 The candidate is required to upload their recent colored passport size photograph and signature. The image format must be in jpeg and size of the image should be less than 100KB. The candidates can pay the BLAT 2019 application fee online as well as offline. The application fee for general category applicants is INR 500 and for the candidates who belong to SC/ ST and OBC, the application fee is INR 250. Only after paying the fee, the candidates will be able to print their filled BLAT application form which will be on the official website. Online Payment: The mode of online banking are Net Banking, Credit card, and Debit card. Offline Payment: The mode of offline payment is Cash Payment through HDFC Bank, that is the candidates will be directed to the challan generation window to Generate and Print Challan. Now the candidate needs to visit the nearest HDFC branch and submit the fee along with the challan. One part of the challan will be returned to the candidate by the bank officials after accepting the fee.